In our Industrial Vices’ lot, we have precision EDM Vice which is made of premium stainless steel. 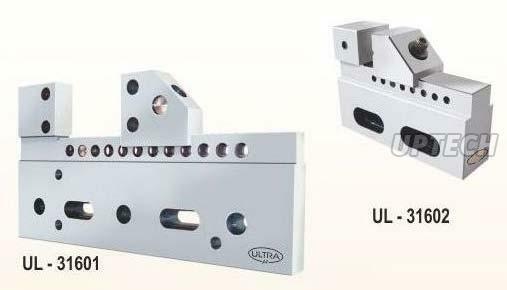 The vice is best used for purposes such as holding especially on wire-cut machines. Its quality is ensured to be the best, and so does its performance. It is doled out in varying standard specification; however, we can make it available in custom specifications as well. We are one of the topmost Manufacturers, Exporters, and Suppliers of Stainless Steel EDM Vice from Maharashtra, India. Useful for holding purpose on wire cut machine. Suitable for mounting on machine bed. Hardness 55 + 3 Rc.